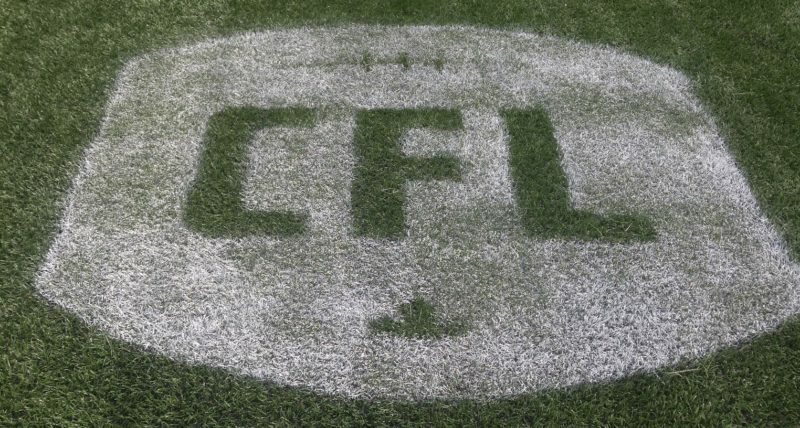 The Winnipeg Football Club will officially welcome three new members to its Hall of Fame at this week’s annual Legacy Dinner: Terrence Edwards and builders David Asper and Gene Dunn. This is the first of three profiles on the new inductees. He has been taking breaths on this green earth for seven of the 10 Grey Cup championships in Winnipeg Blue Bombers history, missing only the 1935, 1939 and 1942 titles. 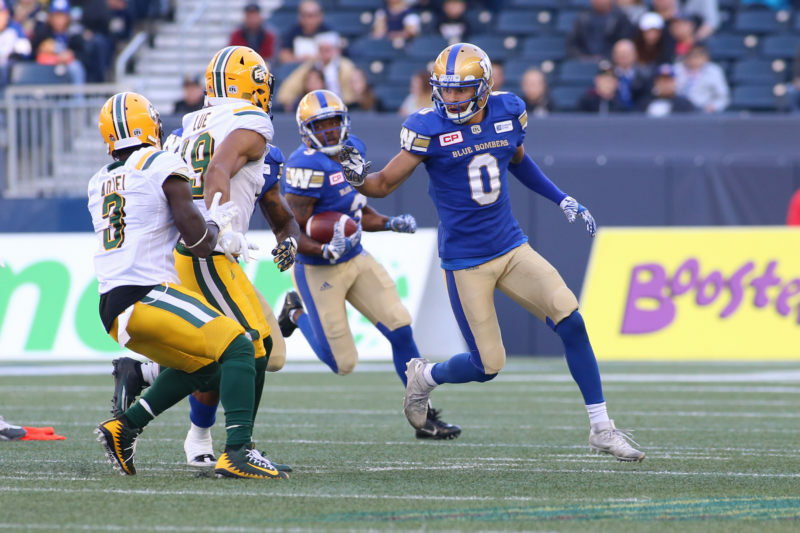 “I was born November 26th, 1958… three days before the Bombers won the Grey Cup that year,” began Asper in a recent chat with bluebombers.com. “I’m going by what my parents were saying, but we were in a dry spell and it was Bomberville in Winnipeg back then. They start ‘em young in Bomber Nation, that isn’t new. And Asper can spin yarns about his devotion dating back as long as he can remember. “For me it started with my parents,” he said. “And then there was the Junior Quarterback Club through The Bay, there was a Kenny Ploen replica helmet, the Salisbury House End Zone and the brawls in there when the ball came into the end zone. 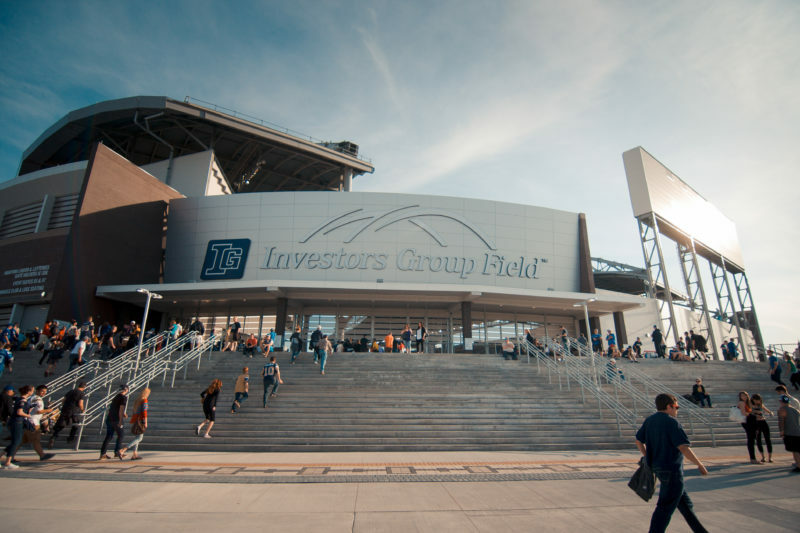 “There was my dad getting tickets in the upper deck of the old stadium when they added that. I spent my whole life after that trying to improve my tickets. It took 20 years where we got into the lower level, closer to centre field, and then we took over the tickets when my dad wasn’t going any more. It’s a generational story. “I just bought a nylon club jacket from a guy in Transcona, an original 1979 unworn Bomber club jacket. I’ve got programs from the 40s, the program from the opening night at Winnipeg Stadium and from the first annual dinner. One of the former team doctors, Dr. John McGoey, when he passed away told his son, who is a friend of mine, to make sure I get his Bomber stuff. I’ve got a lot. “I have all that foundational stuff as a kid,” he added. “Then you grow up and you stick with it as you become even more of a fan. Asper’s fandom adds some cool layers to his life story, but it’s not why he is being added to the club’s hall of fame this week. It’s a stepping stone, however, and it helps explain why, when he was first called to help the club as a young lawyer in the late 1980s, he eagerly rolled up his sleeves to get to work. He was a corporate sponsor just five years later, and then at the turn of the millennium, was front and centre in the desperate drive to keep the franchise from extinction. The Bombers were $5.4 million in debt when Asper, along with fellow 2017 WFC hall of fame inductee Gene Dunn and then-president and CEO Lyle Bauer spearheaded the efforts to keep the organization afloat. “I have to be careful not to make this too melodramatic, but the club was dead. It was truly dead,” said Asper. “They were calling Lyle and then Gene and I to essentially run into a burning building. It was the kind of thing you don’t even really think twice about. If you want to be a player and you want to support the team, when the coach calls your number you go. That the Bombers are alive today and playing in a new facility is in large part because of the efforts of those men. “I’m pretty proud to have been a part of that,” said Asper. “You look back at where we were in 2000, 2001 and where the club is now… we knew, for example, that we had to have a new stadium. The Asper family’s philanthropy in this town is evident everywhere and David has played his part, too. He is a recipient of the Queen Elizabeth II Diamond Jubilee Medal in recognition of his community service, and in addition to his business ventures, continues to write and lecture on legal matters while serving on various committees of the Law Society of Manitoba. He is currently Chair of The Asper Foundation and this spring was appointed by Mayor Brian Bowman to serve as Chair of the Winnipeg Police Board. 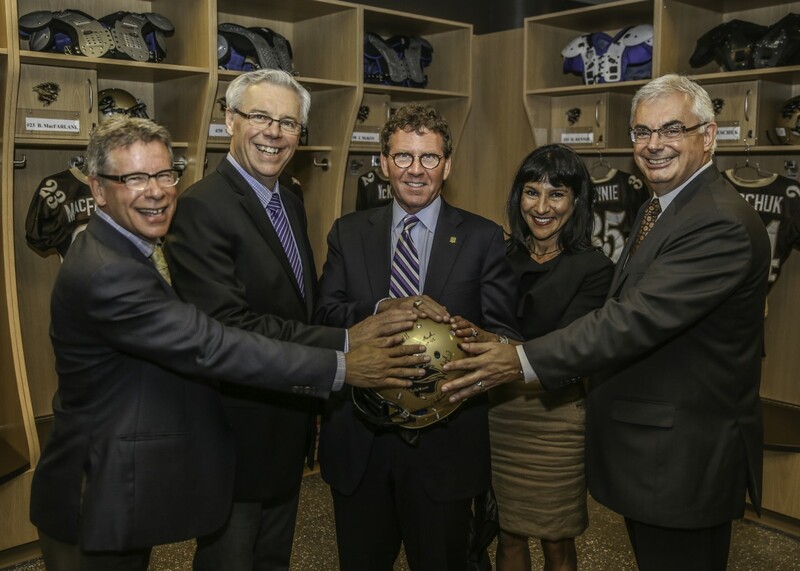 He is also a major benefactor for the University of Manitoba, particularly in support of the Faculty of Kinesiology and Bison Football Bursaries. 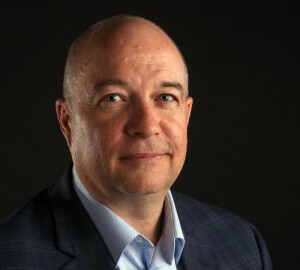 His involvement with the Bombers and the CFL goes beyond the work he did with Bauer and Dunn to help save the franchise: He served as both Chair and Vice Chair of the club, was Vice-Chair of the CFL’s Board of Governors and Chair of both the 2006 and 2015 Winnipeg Grey Cup Festivals. Asked if he was comfortable with being referred to as a ‘super-fan’ or ‘diehard’, Asper quickly interjected. “I always cringe when I hear that,” he said. “When you go the Grey Cup or you walk around the concourse and see all these fans… Plunger Head, all these great Bomber fans. I don’t differentiate myself. I think they’re bigger super fans than me. I’m a guy who had a skill set and was in the right place at the right time and just went and did what any fan would do when their team is in trouble. 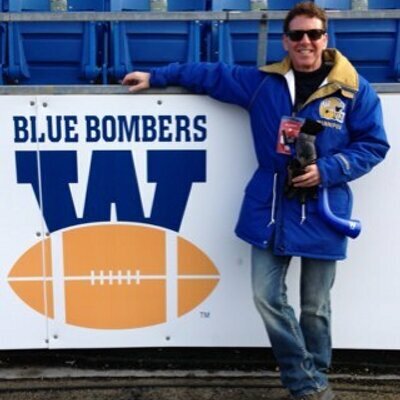 My story has different layers, different specifics, but to me it’s no different than an average Bomber fan. I just got to do some things that others didn’t or probably didn’t want to do. 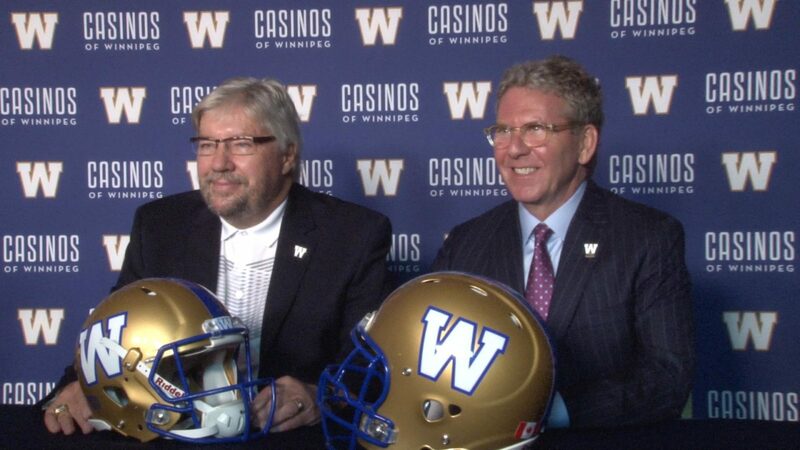 “When we win the Grey Cup again, it’s going to validate tens of thousands of lifelong commitments from people. I don’t see my association being that much different. “I’ve got to tell you, I’m having a hard time with (the hall of fame recognition),” Asper added. “I can be glib sometimes, but it does kind of strike at the core of my being and I don’t quite know what to do or say.